her heels up his legs, tap, tap, tapping her pencil all class. clapping as it smokes and steams. my last stack of exams. 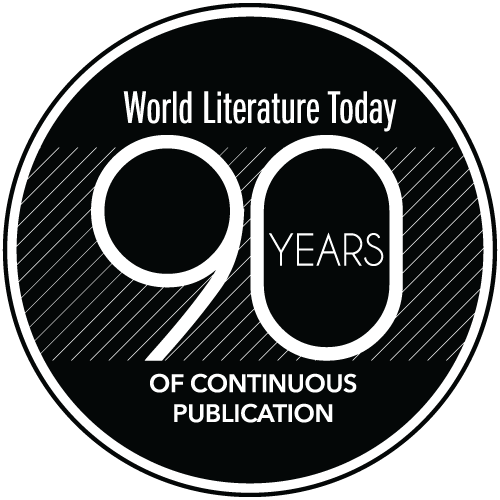 Brian Fanelli’s poetry has been nominated for a Pushcart Prize and has appeared in a number of magazines and journals, most recently Oklahoma Review, Spillway, Boston Literary Magazine, Portland Review, and Third Wednesday. Fanelli is the author of one chapbook, Front Man (Big Table Publishing), and the full-length collection All That Remains, forthcoming soon from Unbound Content. Prior to working as a full-time English instructor at Lackawanna College, Fanelli worked a number of jobs, including country clerk, factory worker, and adjunct instructor. 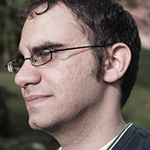 He has an MFA from Wilkes University and is currently a PhD student at SUNY Binghamton. 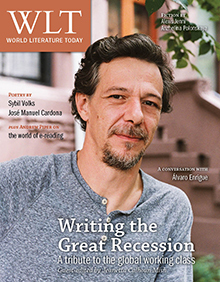 “Writing the Great Recession,” a portfolio devoted to international working-class writing, headlines the November 2013 issue of WLT.